Like all living things, plant species must reproduce to persist. Key stages in successful plant reproduction must be carefully timed to make sure resources are available and conditions are optimal. There will be little success if flowers mature in bad weather conditions for their insect pollinators or if fruits ripen but the seed dispersers have migrated elsewhere. 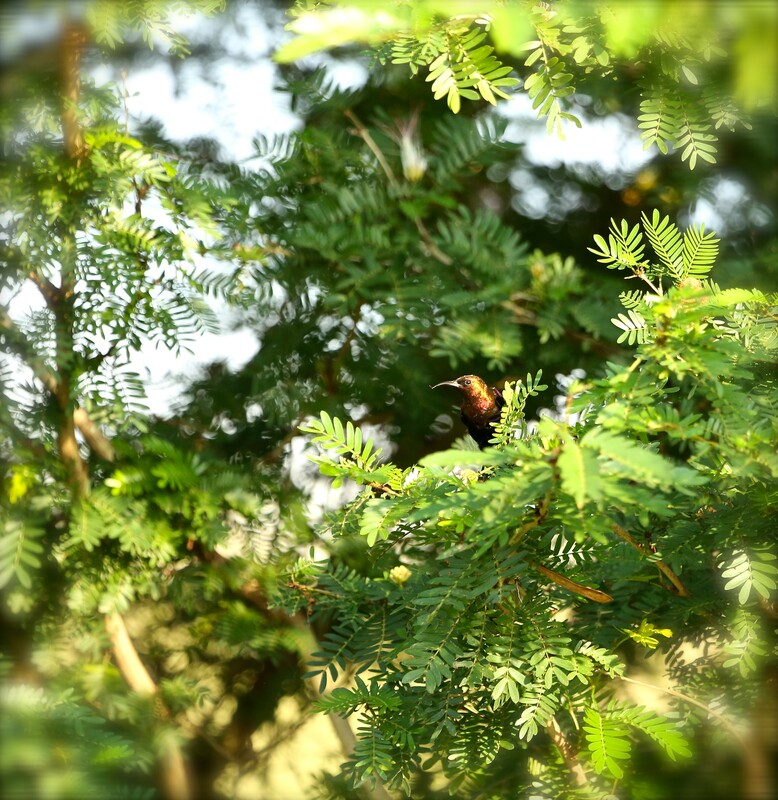 Because plants rely on the abiotic environment for sunlight, nutrients and water, and in some cases for the dispersal of pollen and seeds, it is not surprising that their life stages are closely linked to environmental cycles. In temperate systems the link between plant reproduction and climate cycles is very clear. Most plants grow and reproduce on an annual cycle, reset each year by the dormant winter. In the tropics things get a lot more exciting. Daylight hours are long and stable and temperatures are high all year round. Plant productivity is often limited only by the availability of water and nutrients. In regions where water availability is not highly seasonal, plant cycles can become uncoupled from the familiar annual cycles of temperate regions. Plants can reproduce continuously, at regular sub-annual or annual intervals or in irregular multi-year events, sometimes synchronised across communities in ‘masting’ years. Analytical methods used in temperate phenology studies are often inappropriate for tropical phenology. “Days since January 1st ” – a common unit in temperate phenology spring studies – is a linear measure and has no meaning in a tropical system where growth is possible all year round. Analytical tools to study phenology in the tropics must be flexible enough to take account of the many diverse phenological strategies and the circular nature of the data lacking the winter ‘start’ to each year. We made significant progress on this analytical challenge last year through the development of Fourier methods – based on the regular repeating patterns of sine curves – for tropical phenology. We published a paper in Methods in Ecology and Evolution­ – ‘Fourier analysis to detect phenological cycles using long‐term tropical field data and simulations’ – describing how Fourier analysis can be used to quantify the frequency, strength, timing and synchrony of tropical plant cycles. Alongside this we wrote an article on this blog using smoothies to explain just why Fourier is such a great tool for tropical phenology in an effort to make the maths more palatable. We also made great efforts to share our findings and code with our research colleagues and have been delighted by the ways in which these methods have allowed the field to move forward. In the last year we’ve seen the growth of Fourier-based methods among our colleagues’ work around the world. Our research group has continued to use the powerful Lopé dataset (currently the longest continuous directly observed dataset available for Africa, possibly for the entire tropics) to improve and extend the analytical tools. A particular feature of our approach has been to apply Fourier methods to data from individual trees, made possible by the high resolution of the long-term data at Lopé. We used the methods developed in our original article in a new paper released in Biotropica last month – ‘Towards effective monitoring of tropical phenology: maximizing returns and reducing uncertainty in long‐term studies’ (free to access for a limited time). In this recent analysis we combined Fourier indices for leafing, flowering and fruiting cycles at Lopé with expert knowledge on field conditions to identify major sources of noise in data collection. We made recommendations for effective monitoring of tropical phenology, including how to choose species likely to give robust data for assessing phenological changes over time, which will be a crucial step in predicting future biome shifts. The Fourier methods published in our Methods in Ecology and Evolution article have also been expanded geographically to quantify flowering and fruiting phenology for 5446 trees of 196 species at 12 sites across the African continent. In this first pan-African phenology analysis, annual cycles were found to be the most common reproductive strategy. There were many individuals for which no regular cyclic behavior could be identified though. 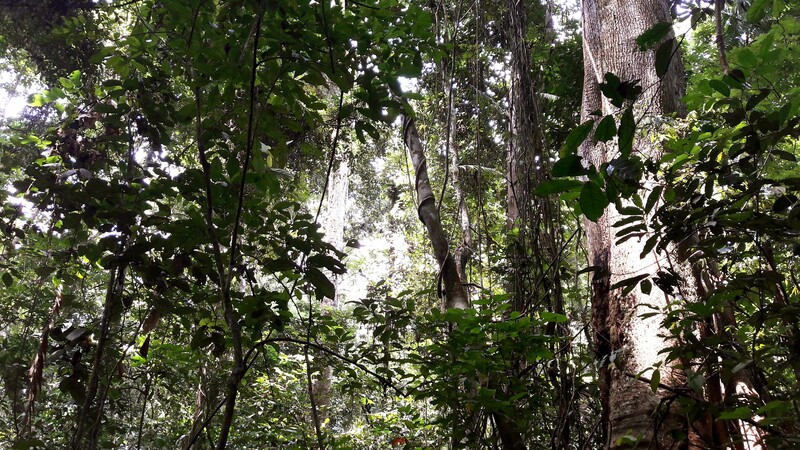 In the same Biotropica Special Section on tropical phenology our Fourier methods for phenology are used to identify reproductive cycles among tropical tree species at Budongo Forest Reseve, Uganda. They’re also cited in three further papers (Abernethy et. al. 2018; Ouédraogo et. al. 2018 and Morellato et. al. 2018). At the moment, our research group is working on extending our Fourier-based approach into the time domain. To do this, we’re using Wavelet analysis (windowed Fourier over time) to understand if and how the leafing, flowering and fruiting cycles at Lopé are changing with environmental change. Up to this point, we’ve structured our analyses to reflect the hierarchical nature of the natural system. We start at the scale of the individual plant and build up to include species, functional groups and the wider forest community. Since the publication of our article in MEE, a number of other applications of Fourier methods for species- and community-level phenology have emerged in the literature. 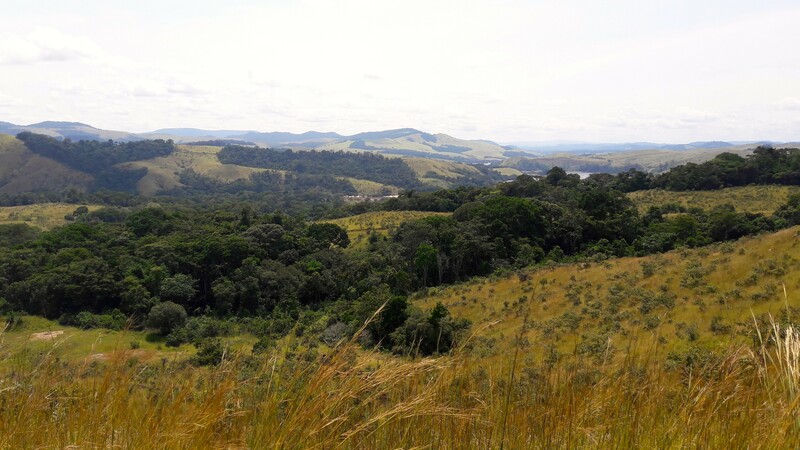 Fourier methods have been used to quantify community phenology and climate cycles at two long-term tropical forest observation sites: Kibale, Uganda and BCI, Panama. While Wavelet methods have been used to assess dynamics in community flower and seed production in tropical forests in Puerto Rico , to track lilac flowering phenology across the USA and to test the coherence of climate and plant phenology cycles and the influence of ENSO at BCI in Panama. Where Next for Fourier and Phenology? There are continuing challenges to the application of Fourier-based methods. One of the main ones is the need for consistent data collection over a reasonable period of time. The ability to deal with noise arising from complex tropical ecosystems and logistically challenging data collection scenarios can be tricky too. The strengths for tropical phenology research are worth the challenges though. Fourier-based methods have the ability to objectively assess cyclic activity for multiple individuals, species, functional groups and sites simultaneously and there is great potential to use Fourier quantitative indicators such as “cycle power” and “synchrony” to track changes in phenology over time. Phenology remains a key indicator for the effects of a changing climate on the natural world. We recently brought together phenologists, climatologists and forest scientists from around the world at a Theo Murphy meeting at the Royal Society to begin to address the most pertinent questions in tropical phenology research in a changing world. Leading scientists presented on the state-of-the-art of tropical phenology, mapping out the extent of our current knowledge and the urgency of progress, given the importance of phenology as a key indicator of fundamental biome change. A major conclusion of the meeting was the need for new collaborations between statisticians and field biologists and novel analytical approaches. We hope that this will lead to more advances for Fourier-based methods, and the field in general. This article was highly commended for the 2017 Robert May Early Career Researcher Prize. You can find out more about other papers that were considered for the prize here. This entry was posted in Methods papers, Robert May Prize, Statistical methods and tagged Biotropica, Community Level Phenology, Fourier Analysis, Fourier Methods, Individual Level Phenology, Lopé National Park, phenology, Plant Phenology, Robert May Prize, Species Level Phenology, Tropical Field Data, Tropical Phenology by Chris Grieves. Bookmark the permalink.